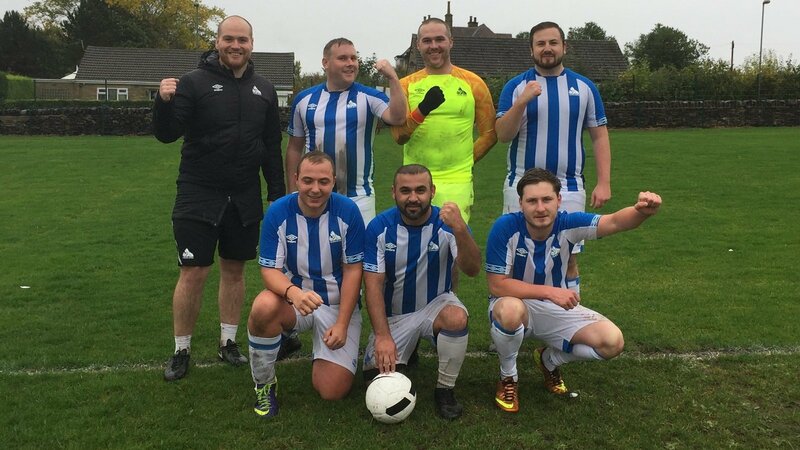 After impressing its first outing in the Ability Counts League, the Town Foundation’s five-a-side team – which is made up of players from its Disability Sessions – once again, performed admirably. Town was top of the grading coming into Sunday’s set of games after winning four out of five games. On Sunday 18 November, the five players set to the grass and got off to another good start beating Danby 2-1 before a 3-2 defeat to Greetland. The Town Foundation’s side responded well winning two of the final three games, firstly beating Shelley Creative Minds 1-0 before ending with a 2-1 win over Oakwell Terriers. Following the results, the Town Foundation finished joint second with Greetland – just behind leaders Bradford Disability – who they drew 0-0 with. The first two sets of fixtures, where the side has performed well, were friendly matches in preparation to the start of the season. Five of the players from the five-a-side team came from the Town Foundation’s Mental Health Football Sessions, which run every Thursday between 12.30pm and 2pm at the Leeds Road Sports Complex. Another came from the Central Stars Football session on a Wednesday, which takes place between 6.30pm-7.30pm for 16-24 year olds. “Like a few weeks ago the players performed really well in the Ability Counts League fixtures and can be very proud of how they did. “You can see how much it means to them to play in these games and it really puts a smile on all of our faces.